Why JPR E&T for staff? AJP 3.7 Recovery of Personnel in a hostile environment (Feb 2016) states that “The chances of a successful recovery of isolated personnel in the JOA can be significantly increased if they have been appropriately educated, trained, equipped, mentally prepared and properly documented for PR prior to the start of their mission”. The doctrine addresses that E&T is needed for all PR elements. And it clearly states that “Commanders and staffs, and Recovery Forces fulfilling specific Personnel Recovery (PR) roles within the JOA must be appropriately trained”. There are some PR staff education opportunities already available. The key is for nations to identify the right candidate to these existing courses. EPRC Permanent Staff has participated in all courses outlined and has been supporting the EDA PRCPC Project Coordination Group since 2015 in order to create the current EDA JPRSC. 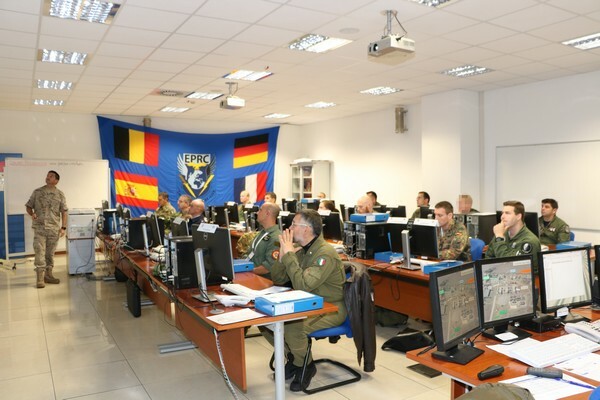 To provide the basic skills and knowledge to operate as a PR Staff Member in a PRCC or JPRC within a NATO, EU or National staff in the execution of operations or exercises. 8 days course focused on the duties of the PR specialist (staff) working at Joint, or Component, level during the execution of PR operations. PR General Information: PR History, Intro to PR and PR concept, PR Phases: Preparation, Planning, Execution, Adaptation. PR Preparation: References: Policy, doctrine, TTPs (NATO and EU documents), PR documents: OPLAN Annex V, PR SPINS, Evasion Plan of Action (EPA), Isolated Personnel Report (ISOPREP), PR Education & Training, PR Equipment. PR Planning: PR mission planning at tactical level, PR communications. PR Execution: Execution of Ops at Op level, PR staff member, 5 PR tasks, PR Checklists, PR C2: JPRC/ PRCC/ PR officer. Organization & Duties, PR interaction with staff (J1-J9), INTEL support to PR. PR Adaptation: The PR specialist in the LL process. Staff member in a PRCC or JPRC in NATO (CS or FS), EU or at national level. It includes controller and duty officers, SERE and INTEL specialist, PR plans officers and Director/Chief and deputies. • National staff that are responsible to set-up and manage PR related programmes. • Personnel belonging to the Planning Groups at Joint (JOPG) or Component level. Very complete course balancing both theory and practice. 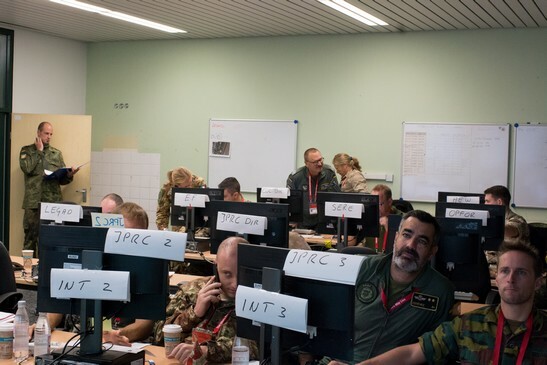 Students rotate among different positions such as PR Controllers, SERE specialist, INTEL specialist and PRCC chief, or the equivalent at the different levels from Unit to Operational level. The course is based on a Geographical scenario for a Land heavy operation (Afghanistan-like). No course fee is required. The course is delivered in DEU, HUN, ITA, SWE & EPRC. Designation of students is made by HN iaw the agreement of the PCG. Aprox half of the slots are from the HN. PCG nations (AUT, BEL CYP, DEU, HUN, ITA, NLD and SWE) and people to be deployed in operations are prioritized. To understand the roles, functions, and operations in a JPRC or PRCC, and actively coordinate the PR execution tasks within Department of Defense, interagency, multi-national and Chief of Mission environments. Focused on coordinating the PR execution tasks in a JPRC or PRCC. 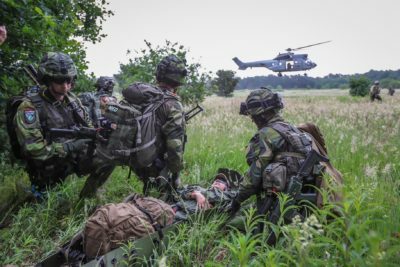 Fundamentals, Execution tasks, C2, JPRC/PRCC roles and responsibilities, information management, interagency coordination, multinational force considerations, and mission coordination. Comprehensive CPX with scenario in Components. U. S. military, interagency and multinational-force personnel whose duties include coordinating PR execution across the range of military operations. Instructors present multiple real examples. Based only in USA references. Locations: PRETC, Fredericksburg (VA, USA) and DSTO (GBR). Seats for international students must be arranged through Foreign Military Sales program. To be able to conduct PR Planning at the operational level across the range of military operations. Focused on facilitating the Joint Planning Process (JPP) and Personnel Recovery (PR). Students will be required to conduct PR planning and produce planning products. Fundamentals, History, References, RF capabilities, C2, INTEL, NAR, SAR, SERE, Reintegration, JOP, JOPP, planning deliverables, PR in GO. Focusing only in PR related aspects, thorough syndicate work as OPG (Mission Analysis, COAs development, writing annex V). U.S. military and interagency personnel who are directly involved in Theatre and Operational level PR planning. JOP course, focused only in PR related aspects. Includes DOD and inter-agency guest speakers. International student can’t attend to some lectures. To initiate trainees into the planning and conduct of PR operations of the Air Component, in order to be able to integrate a PRCC. Focused in the interaction of the PRCC with the rest of the AOC / JFAC. PR doctrine and tools (ICC, JCOP / SALTO / ATO previewer / JCHAT). 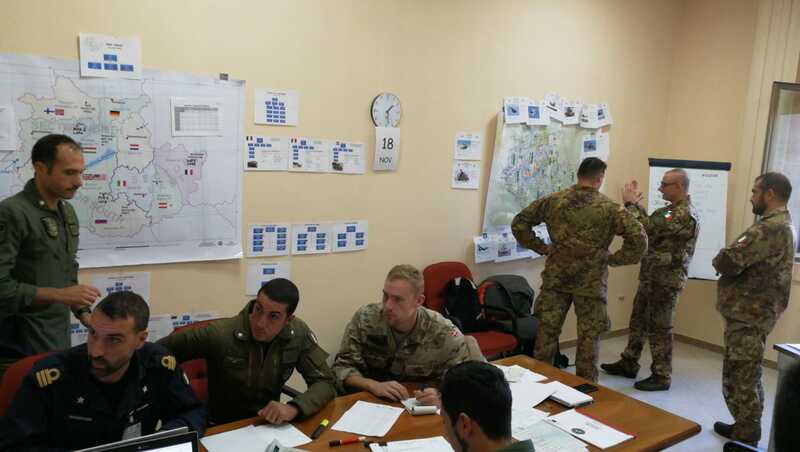 PR cell within the current ops room of COMBAT OPS division of a JFAC. 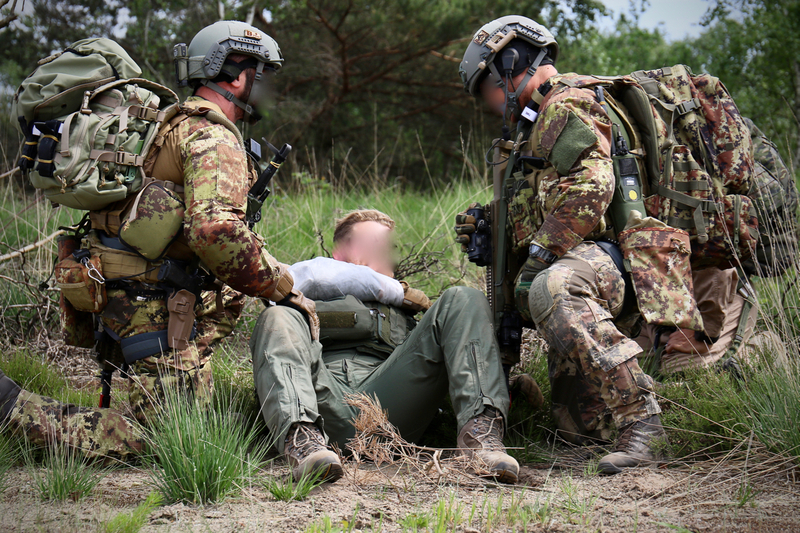 NATO officers & NCOs likely to man a PRCC within an Air Component or any structure involved in a PR Operation. Immersive practice working in a PR Cell in Combat Ops division within a complete AOC. Only 5 seat available per iteration. NATO RESTRICTED, JFAC OC (B) certificate (DACC IFJT). To lay the foundation for understanding of CSAR Doctrine and TTPs. To provide a broad awareness of COMAO CSAR to tactical operators. Focused on the planning (4 T’s Brainstorming and Analysis, Timeline & Com Plan) of an Air PRTF within a COMAO for a deliberate CSAR operation. PR Fundamental, 4 T’s Brainstorming and Analysis, 5 tasks, INTEL support, mission planning and time line, JPRC/PRCC organization and tasks, theatre-specific PR/CSAR documents, PLS & PLB, ISOP’s real world experience, ISOP & SERE training, COMMPLAN, OSC, AMC & C2ISR, Extraction Forces, Recovery Vehicles, RMC, RESCORT, RESCAP, SEAD, A/A & SBAD threat analysis for CSAR. COMAO CSAR planning exercise (4 T’s Board & Timeline). Junior aircrew. Military personnel with different backgrounds e.g. CAOC, SOF and INTEL can also benefit from this course. More tactical level that provides very good insight in a CSAR COMAO.